You should always take pride in your ideas and innovations. Let me offer my assistance in helping you achieve a longtime goal in developing a groundbreaking product or service. I am attorney John C. Lambertsen. For more than 30 years, I have combined my experience with three decades of cumulative legal knowledge. I am committed to working with my clients in developing a legal strategy that best protects the rights of hardworking and enterprising Las Vegas residents and those throughout Nevada.​ Whether it’s patents, trademarks or your intellectual property, I will work with you to make sure your brilliant ideas are protected, not just in Nevada, but nationwide. Call me today and let’s get started. Even if you have yet to realize your idea's full potential, your invention, brand image, and related intellectual property can be valuable assets. However, commercializing a product presents challenges. 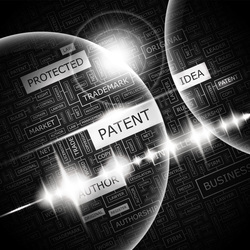 The act of securing a patent may be part of a business strategy toward commercializing your invention – but this, of course, cannot ensure success. At my law firm, John C. Lambertsen A Professional Corporation, I help my clients with the process of patent and trademark applications. I understand that each client has unique issues, concerns, and budgets, and will treat each case individually. I will take the time necessary to provide you with direct and honest recommendations regarding lower cost approaches in taking the next steps. When you retain my firm, you deal directly with me. I pride myself on building relationships with my clients beyond just a single case. Everyone I represent is more than a name on a file or case number. I work for you, and my goal will always be to reach the best possible outcome for my client. Your success is my success.